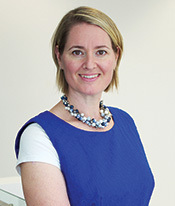 Dr Renee Verkuijl is a Townsville based Obstetrician and Gynaecologist and a fellow of the Royal Australian and New Zealand College of Obstetricians and Gynaecologists (FRANZCOG). Renee has been working in Obstetrics and Gynaecology for more than 12 years. She finished Medical School in Amsterdam, The Netherlands in 1998. Already during her Medical training she had a great interest in Women’s Health and performed research in the Obstetrics department from 1993 – 2000. She then specialised in Tropical Medicine with the aim to work for some time in a developing country. Before moving to Kenya she had the opportunity to work as a home birth midwife for 3 months, which gave her great insight into low intervention, low risk births. She then worked in Kenya for 3 years as the Medical Officer in Charge of a small rural hospital with an interest in Obstetrics and Gynaecology. Being faced with the injustices for women there made her even more determined to choose a career in Women’s Health. Renee moved to Adelaide in 2005 and started the Obstetrics and Gynaecology training in Queensland in 2007. During her specialist training she worked in several maternity hospitals, including 4 years in different tertiary units with exposure to high-risk obstetrics. During her final years in specialist training she finished a Masters of Reproductive Medicine through the University of New South Wales. At the same time she developed an interest in laparoscopic surgery and infertility and has been working closely with Dr Chang in The Mater Hospital, Townsville. She enjoys working in general Obstetrics and Gynaecology and Infertility. 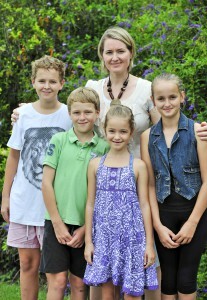 Renee is a mother of 4 children and is passionate about high quality women’s health care. Having had the experience of her own births and the exposure of births in different cultures and settings makes her extremely understanding of the specific needs for individual women. She will be looking forward to caring for you with all your women’s health concerns in a dignified and respectful manner.